Despite the small issues with advanced poses that I’ve had, I am extremely happy with this challenge that I’ve created for myself. I really hope that other people join in and use it too. If you need some reasons, let me share mine! There’s a lot of variety. 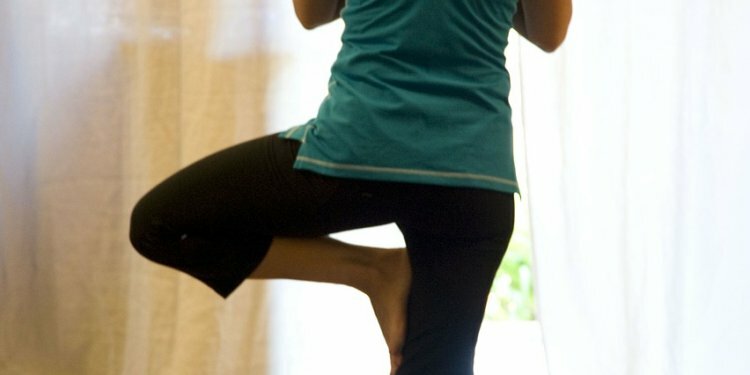 Even though I had to ditch a few poses that were too advanced, the challenge still has 61 unique poses, which is a lot more than you see in most other yoga challenges or online classes. Having only five poses a day means I don’t have to try to remember a bunch of things that some instructor is “flowing” through. Spending three minutes on each pose gives me plenty of time to figure out how to do it, settle into it, and really get something out of it. I love having time to breathe into a pose. I haven’t been injured yet doing this routine. As much as I liked Adriene Mishler and Erin Motz, I managed to pull, twist or hurt something during both of their 30-day challenges. More than once following Adriene’s. I have experienced a few minor tweaks during mine, but I had time to shift and avoid any actual injury. I have ached in more places. Yes, that’s good, actually. Holding the poses seems to use more muscles in more places than any moving routine I’ve ever done. I have to take a day off every 5-6 days to recover, but the aching really lets me know that I’m actually using my body rather than just straining and hurting it. This routine seems to be a great balance of peaceful enough to start my morning with, but still a good workout. I can actually notice progress as I go. I had such a hard time moving through all the poses of other routines that I didn’t have time to really notice my progress. With mine, I spend long enough in each pose to actually note how I can bend further, stand straighter or hold longer. Overall, I really like my challenge. I prefer it over the others that I’ve done from professional teachers. I’ll definitely be sticking with it and sharing my progress in the comments each day. I’d really love to see others join in with me. You can start at any time and go at your own pace, and I’d be happy to hear your thoughts and your progress.